Here's how several processors removed trans fats before the Jan. 1 labeling deadline. Trans fatty acids (TFAs) have developed a reputation for being the deadliest fat in the American diet since the discovery they contribute to inflammation, coronary heart disease and other health issues. The food industry's efforts to reduce or remove TFAs are causing a paradigm shift in the marketplace and significant differences in products that had not changed for decades. The Food and Drug Administration (FDA) required the amount of trans fats to be listed on the Nutrition Facts panel of all packaged food products as of Jan. 1. Amounts less than 0.5g did not need any declaration. While there was no mandate for their removal nor any scary warnings about what TFAs do, consumers have become surprisingly aware of their dangers over the past year. Many food processors saw Jan. 1 as a deadline for their elimination. "We estimate within three years after the effective date, trans fat labeling will prevent from 600 to 1,200 cases of coronary heart disease and 250 to 500 deaths each year," Scott Gottlieb, FDA's deputy commissioner for medical and scientific affairs, reported at a Nov. 30, 2005, conference. The FDA mandate does not apply to all foods. Raw fish, meat and chicken are exempted, so are foods bought at in-store bakeries and delis, as well as foods intended to be eaten where they are purchased, which also excludes all restaurant and foodservice offerings. Also exempt are small retailers (grossing less than $500,000 in annual sales or selling less than $50,000 worth of foods) and small-scale producers, provided they file a notice annually with the FDA. Additionally, the FDA has allowed a number of manufacturers to finish their on-hand stock of labels before complying. In Canada, regulations required the listing of TFAs (if more than 0.2g per serving) to the Nutrition Facts table by Dec. 12, 2005. Small manufacturers have until Dec. 12, 2007 to comply. Critics of any delays or exemptions argue that the multinationals changed nearly overnight to reduce or eliminate their TFA content in 2004, when Denmark mandated TFA to less than 2 percent of total fat in processed foods. For ConAgra, removing trans fats from tub margarine spreads was easy, but removing them from stick margarine was a challenge. 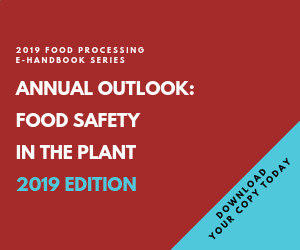 Those who claim TFAs can be eliminated easily in processed foods do not understand the depth, proliferation and impact of partially hydrogenated oils (PHOs) in food processing and the limitations of the solutions developed thus far. Nor do they understand how Americans select and decide what to buy and eat. Even though TFAs do not have to be removed, "The timing is just right. With obesity statistics at an all-time high and worsening and health issues topping consumer concerns, the pressure is coming from all sides," says Yokima Cureton, product developer at Novozymes AS's (www.novozymes.com) U.S. headquarters in Franklinton, N.C. "Influential retailers like Wal-Mart are refusing to stock shelves with products without TFA labeling and are actively seeking products with no TFAs." Currently there is no drop-in replacement for TFAs in processed foods. Some companies are using solutions that lead to healthier but costlier products, while others are settling for saturated fats and products that are not any healthier. And it appears to us at Corvus Blue, my food industry competitive intelligence firm, that none of the reformulated products truly matches the original. The current challenge is both technical and philosophical, according to Ted Pelloso, senior research leader at ConAgra Foods (www.conagrafoods.com), Omaha, Neb. "There are many ways to remove TFAs. Each company has to decide the route most appropriate for them and their loyal consumers. The key is to make products indistinguishable from the incumbents…so as to continue pleasing and retaining consumers." The path to removing TFAs is difficult. Much of this difficulty stems from a general lack of understanding of what exactly TFAs do in foods to produce the characteristic light and flaky pastries; crunchy chips and snacks that don't turn rancid rapidly; soft, moist baked goods with aerated volumes; and french fries and fried chicken that are crisp and taste great every time. The difficulty is further confounded by the high expectations of American consumers, who want quality and taste in their processed foods, usually paramount to everything else including health considerations. Some of the foods that most rely on partially hydrogenated fats (and therefore contain the most TFAs) include vegetable shortenings, margarines, crackers, cookies, snack foods, fried foods, frozen foods, baking mixes, frostings, baked goods, salad dressings and doughnuts. Manufacturers of margarine and other non-butter spreads and shortening rely on both TFAs and saturated fats for functionality and taste. Packaged baking mix makers such as Jiffy and General Mills pack several grams of TFA per serving in order to produce light, fluffy-textured finished products. Soup makers rely on very high levels of TFAs for ramen noodles and cup soups with extended shelf stability without rancidity. Food vendors serving french fries and deep-fried fish and chicken rely on PHOs for crunchy texture, taste and oil stability. Frozen food manufacturers use TFAs for their invaluable contribution to freeze-thaw stability of frozen pies, pot pies and breaded fish sticks. Bakers use TFAs for baked and fried bakery products such as doughnuts and pastries for enhanced appearance, taste and texture. Chips and crackers owe their crispiness and shelf life to TFA-rich shortening. Formulators of cereals and energy bars, despite the "healthy" connotation of their products, often use TFAs for enhanced taste and adhesion of the ingredients. Candy makers create chocolate-based treats with TFAs for shelf-life stability and smooth, creamy textures. Product developers even have used TFAs in flavored coffees, nondairy creamers, whipped toppings, dips, gravy mixes and salad dressings to emulsify and create structure. No one said it would be easy. Yet most food processors wanted to reformulate rather than wear the label declaration. Some completed their work far in advance of the Jan. 1 labeling deadline. Unilever USA, Englewood Cliffs, N.J., successfully removed TFAs from Shedd's Spread Country Crock, Country Crock Churn Style, I Can't Believe It's Not Butter!, Promise, Take Control and Brummel & Brown spreads, while also reducing fat and saturated fat. For ConAgra, removing TFAs from tub margarine spreads was easy, but removing them from stick margarine "continues to be challenging," according to Pelloso. The greatest challenge for Kellogg Co. (www.kelloggs.com/us), Battle Creek, Mich., was "maintaining flavor and texture and still delivering the taste to their consumers' expectations," according to John Kepplinger, senior director of applied technology. That goes for Kellogg's Keebler cookies, Pop-Tarts toaster pastries, Eggo waffles, Cheez-It crackers, Nutri-Grain breakfast bars and Rice Krispies cereal. Kraft's Golden Oreo Original and Golden Uh-Oh Oreo extensions have been trans fat-free since their debuts nearly two years ago, but the classic Oreo still had trans fats as of the Jan. 1 label deadline. Kepplinger credits ingredient suppliers for thorough evaluation of alternatives for maintaining taste, creating a balanced nutritional profile, equivalent shelf life and processing efficiencies while minimizing changes. "Very few of the options could satisfy all of the criteria; often the best solution for one product would not work for another," he says. Kellogg's TFA removal entailed blending multiple ingredients, thus adding complexity and changing the manufacturing process significantly. Kellogg will pioneer the use of Vistive oil made from a genetically engineered low-linolenic soybean developed by Monsanto Co., St. Louis. The shortfalls of Vistive - not quite enough shelf-stability and requiring some hydrogenation for stability - will be made up with Nutrium, another low-linolenic soybean oil manufactured from genetically engineered soybeans by Bunge DuPont Biotech Alliance, Des Moines, Iowa. Kellogg plans to begin using Nutrium in 2007. As for how Kellogg will convey the health benefits to consumers, Kepplinger is cautiously pragmatic: "Kellogg has a long history of providing educational and nutrition information about our products. Because we are still early in the planning process, it's too soon to provide specifics around our plans around the new low-lin [-olenic] products." Corn oil, stable and naturally low-linolenic, was a simple switch for Frito-Lay. Products fried in corn oil have a nice flavor and are only slightly more expensive. Unsaturated oils for deep-frying batch applications (such as kettle-style chips) are stressed even more than in continuous standard industrial frying operations. Utz Quality Foods, Hanover, Pa., selected peanut oil for its distinct flavor and added crispness for its TFA-free kettle-cooked potato chips. Frito-Lay (Doritos, Tostitos and Cheetos), Proctor & Gamble (Pringles), Pepperidge Farm (Goldfish) and many other snack food companies are using NuSun as their TFA-free alternative, according to Brady Vick, research leader at the U.S. Dept. of Agriculture's Sunflower Research Unit, Fargo, N.D., which developed the oil. NuSun also is the key to J.M. Smucker Co.'s TFA-free Crisco. NuSun is being refined and marketed by Archer Daniels Midland Co. (ADM), Cargill Inc., Humko/ACH and other regional processors. Frying operations value NuSun, a mid-oleic sunflower oil (approximately 65 percent oleic acid), for its high stability, near-zero (less than 0.5 percent) linolenic content and healthful properties since it does not require hydrogenation. There is at least one iconic food product that did not meet the Jan. 1 deadline - but the reason may be stocks of old labels and product rather than reformulation challenges. David Tovar, Kraft's director of corporate affairs, told the hometown Chicago Tribune reformulated Oreos would be produced as of Jan. 1, but they may not make it into stores, or at least wear their trans-free labels, "for weeks or months." Kraft apparently spent more than two years - including 30,000 man-hours and 125 plant trials - to reformulate the world's most popular cookie. The company reportedly is using highly specialized genetically modified canola oil blended with tropical palm oil with high saturated fat content for hardening and shelf life attributes. The changeover also apparently is requiring new production equipment to blend and store the new oils, but the end result should be a TFA-free Oreo indistinguishable from the original. Nearly two years ago, Kraft unveiled zero-trans line extensions Golden Oreo Original and Golden Uh-Oh Oreo, but those were radically different from the classic Oreo. Simply Potatoes refrigerated mashed potatoes from Michael Foods, Minnetonka, Minn., still delivers as much as 5g of saturated fat and 1g of TFA in each serving - a little puzzling considering the company also offers Country Style Mashed Potatoes, which only contains 1.5g of fat and zero TFA. Of the various ingredients emerging to help eliminate TFAs from food products, none that we've seen at Corvus Blue has matched the functionality, availability, robustness and economics of PHOs. The ideal candidate would have to address four major issues concurrently: stability (during storage and during high-temperature processing), nutrition (must not add other health issues), comparable taste (functionality and hedonics) and be as affordable and abundant as PHOs. Commercial bakers switched from "natural" animal fats (lard, butter and tallow) to tropical oils such as palm and palm kernel oils when added cholesterol was deemed to be bad for health. When saturated fats became a health concern, they turned to partially hydrogenated fats as the healthier, inexpensive and more viable alternative. Now, some in the baking industry - including Sara Lee, General Mills and Interstate Bakeries - are returning to palm and palm kernel oils. The result is less than ideal: increased saturated fat levels and possibly different perceived health risks. Palm oils also are popular because of their cost and abundance. Bakers are using trait-enhanced high oleic canola oil, often in oil blends, for its oxidative stability. Photo: Canola Council of Canada. Refractionated palm oil also performs well in sweet baked goods, confectionary and doughnut and snack toppings according to Gerald McNeill, R&D director at Loders Croklaan USA (www.croklaan.com), Channahon, Ill. That's because of its melting properties and texture similar to that of cocoa butter but at a lower cost than that TFA-free alternative. Also, McNeill stresses, "Palmitic acid, the principal fat in palm oil, is also the main saturated fat in humans or animals. There are less chances of discovering any incompatibilities and health issues down the road as were discovered for TFAs. Using a saturated fat common in the human food chain reduces the risk of commercialization outpacing the science of nutrition metabolism." Bakers are also using oil blends containing trait-enhanced high oleic canola oil and fully hydrogenated cottonseed oil - the former for oxidative stability and the latter for structure and body. Fully hydrogenated oils have no TFAs, but they increase saturated fat content. Trait-enhanced oils come with long lead times for contract acreage and price increase implications. Soybean oil contains about 14 percent saturated fat, a little more than canola oil but still much less than most of its trans fat replacement competitors. Even in moderate oil applications, that might make a difference of only 1g per serving. Soybean oil's lower linolenic content and higher linoleic acid composition may yield a better taste profile, according to Rob Kirby, president of the Nexcel Natural Ingredients div. (www.nexsoy.com) of Spectrum Foods Inc., Springfield, Ill.
Other vegetable oils - canola, corn, cottonseed, olive, peanut, and sunflower - are less abundant than soy, more expensive, less saturated but more unstable due to their polyunsaturated and omega-3 fat vulnerability. Some commercial solutions are using proprietary processes to remove the omega-3s and polyunsaturated fatty acids for increased stability. Others blend in saturated fats - butter fat, tropical oils, beef tallow, lard or hydrogenated soy oil - trading their functionality and stability for the health benefits of the base oil. Organic foods raise other considerations. "According to the FDA's National Organic Program, organic oils may not be extracted with the use of the hexane solvents typically used by the large oil processors," says Kirby. So organic food processors must use oils made with the extruder/expeller-pressed method followed up by "physical refining." "The combination yields a product that is not only naturally produced, but has wonderful stability and taste characteristics," Kirby says, adding that his firm's Nexsoy Organic Soybean Oil is so produced. Yet other oil processors use genetic engineering or selective breeding to create seeds that produce vegetable oils with enhanced traits suitable for TFA-free applications. There are two trait-enhanced vegetable oils available commercially: low-linolenic soy or high-oleic canola. Organic and natural food processors favor non-genetically engineered high-oleic canola such as Natreon from Dow AgroSciences (www.dowagro.com), Indianapolis. Natreon, derived from naturally bred Nexera canola seed, is naturally stable due to its high-oleic and low-linolenic fatty acid profile. It also has a significant additional health benefit: During frying it does not produce the precursors to cancer-causing polyacrylamides. Nor does it darken, so foods fried in Natreon look and taste good. Pat Kearney, Natreon spokesperson, claims "Processors using Natreon stand to benefit tremendously from consumer uncertainty about genetically engineered foods - since this demographic that cares about TFAs also cares about their health and the [possible] effects of genetically engineered foods." Mark Matlock, senior vice president of food research at ADM (www.admworld.com), Decatur, Ill., says there are several commercially viable alternatives that not only behave like hydrogenated oils but also are relatively healthy. One commercial solution gaining popularity is interesterified oils, including ADM's NovaLipid. The ingredient has functionalities tailored by switching fatty acid chains between liquid oil, such as canola, and saturated oil, such as palm, using the enzyme lipozyme from ADM partner Novozymes. Wholesale bakeries such as Interstate Bakeries Corp., Kansas City, Mo., find interesterified oils work particularly well in conjunction with emulsifiers in yeast-raised products that typically use highly emulsified shortening. They also work as buttercream-icing shortenings. Plus, bakers have FDA permission to label it as interesterified soybean oil.